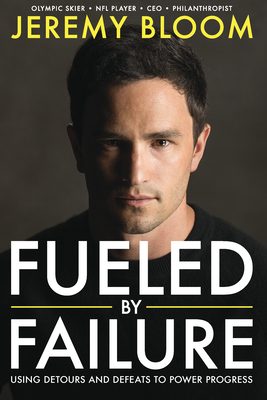 Olympian and former NFL player now thriving as a CEO and Philanthropist, Jeremy Bloom pulls at the common thread that unites him with all of us: the defeats we encounter on our journeys to reach our goals. Sharing his hard-earned insights, advice, and practices including lessons from respected coaches, phenomenal athletes, and highly successful business leaders, Bloom coaches you in tackling defeats--big and small--and using them to drive, not derail, your success. Jeremy Bloom, is a co-founder and CEO of Integrate, a marketing software and media services provider. He is a member of the United States Skiing Hall of Fame, a two-time Olympian and 11-time FIS Freestyle World Cup gold medalist, as well as a former football player for the Philadelphia Eaglesand the Pittsburgh Steelers. He is also the founder of the Wish of a Lifetime Foundation, an organization that grants lifelong wishes to senior citizens.